Do you need to insulate your home or commercial building in Rockville, Maryland? Accurate Insulation can help. Call 301-358-6411 or contact us online to get a free quote for your project! We offer both commercial and residential insulation in Rockville, MD. 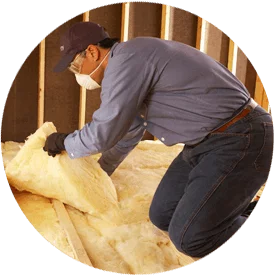 The Accurate Insulation team works with both builders/contractors and homeowners to install residential insulation in Rockville for new construction and retrofit (re-insulation) projects. We add energy efficiency, comfort and value to homes old and new. 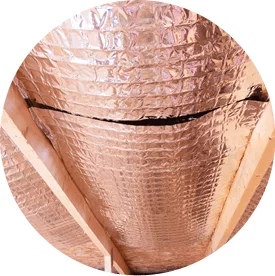 Rigid foam: Rigid foam insulation is mainly used for new construction projects, and in our experience, it is a great solution for insulating homes and buildings and maximizing energy efficiency. Ready to start saving money on your home energy bills? Schedule a FREE insulation consultation today to see where your home is losing the most energy and which type of home insulation will be the most effective for you and your family. For both commercial or residential insulation in Rockville, you can call on us. We offer a 5% senior and military discount for re-insulation work. Ask us about it!